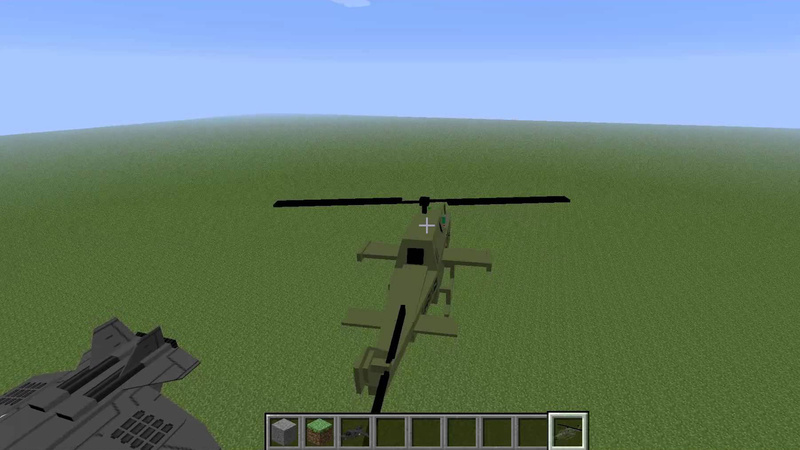 THX Helicopter adds a well modelled helicopter into your Minecraft game. The mod is completely configurable through the settings and anything from the helicopters speed, to rotor motion to anything you can think of is adjustable. - The helicopter is well modelled and the functions are well adjustable through the config menu. - You can fly the helicopter all about Minecraft and gloat as your friends have to walk. - The only thing about this mod that I don’t like is how cheap it is to craft. - As long as you have some wood, you can create the helicopter from virtually anywhere in Minecraft!